Om Sai Ram everyone. I am Swati from California, and I want to share my personal experience on how my dear Sai introduced Shri Sai Satcharitra Prayan into my life. I love to read baba’s experiences and now it’s the time to share mine. I believe that Baba is there with all of us in different forms and he will definitely be there to hold our hand whenever we need him. Although I started doing fasting for Baba, but I was never aware of Shri Sai Satcharitra Prayan. In March, 2014, when I went to India in my cousin’s wedding, I met my Bhabhi there and she told me that doing prayan leads to have baba’s Darshan. I became mad on that, and started doing baba’s prayan to get his presence. I starting finding Shri Satcharitra but I couldn’t find time to purchase this holy book. After coming back to California, I totally forgot that I had to buy this book. Here in California, it was Thursday (baba’s day), I thought to go to temple. And we (my husband, his friend, his friend’s wife and their son) went to Sai Temple (Shirdi Sai Darbaar, Sunnyvale). Suddenly, I told about my wish to read Shri Sai Satcharitra Prayan in Hindi Language to my husband’s friends. We attended the baba’s Aarti in the temple. When we were coming back from temple, my husband’s friend took the Shri Sai Satcharitra book from the temple and gave me. I was total shocked and surprised. I was just thinking about doing prayan and baba arranged this holy book for me. 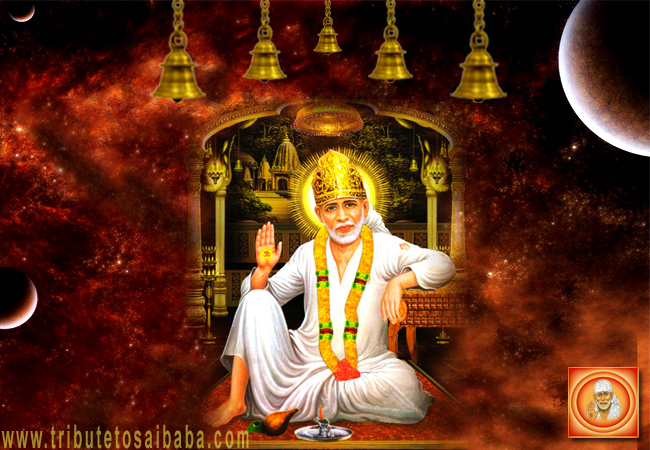 Thanks to my dear Sai for taking care of my wish. The moment I received the Shri Sai Satcharitra book, I started thinking to finishing my prayan and give this book back to the temple, but I was so happy to know that this book is given to me personally, and there is no need to return this book to temple. First time, I completed prayan in one day but I was not satisfied and thought to read again, and second time, I completed the prayan in 7 days. And after 7 days, I was thinking that if baba can give me Darshan I will be so lucky and I went to sleep. Will you believe, I saw baba in my dream with log fire ashes UDI in my home’s courtyard and he asked my wish. I noticed that he was pen down my wish on a paper. When I woke up, I was very happy to remind this incident in my dream. I was very much excited to know that he accepted my prayan. Thank you dear baba for always being there with me and my family.